Most of us know the story. Seeking a place to establish a Puritan church, the Pilgrims arrive on the Mayflower at Plymouth Rock in 1620 and have a hard winter, so the Indians teach them how to grow their own food over the next year. The following harvest, they hold a huge feast to honor the Indians with turkey and dressing and pumpkin pie and celebrate their new-found friends and the peace between them, and we’ve kept that tradition ever since. But most of this isn’t true, and every tale has more than one perspective. Our storybook version, featuring a giant turkey, grapes, and a majority of Pilgrims. To the Wampanoag, the Native American people who aided the Pilgrims, things happened in a very different way. Their story begins like this. The Wampanoag had seen whites before, but when the English Pilgrims arrived with women and children, they didn’t see them as a threat. The winter was hard, that is true. From hiding, the Wampanoag watched 46 of the original 102 settlers perish from cold and hunger. March 16 the following year, a Monhegan from Maine named Samoset made contact with the Pilgrims, and the next day returned with Tisquantum, better known as Squanto, a Wampanoag who had learned English. Squanto befriended the English and taught them how to fish, how to plant corn, and how to hunt for nuts and berries. As a result of their friendship, the Pilgrims entered into a peace treaty with Massassoit, the Wampanoag chief, and heeded the advice of their new friends. In September or October, their crops had a good yield, and they decided to hold a traditional English harvest feast. Historians draw the story of the first thanksgiving from two accounts, one of which was written by Pilgrim Edward Winslow. His account mentions the Pilgrims “sent four men on fowling,” meaning bird hunting, and that “we exercised our arms,” meaning gun fire. These men did hunt for “turkey,” but the word referred to any kind of bird, not necessarily the centerpiece of the contemporary Thanksgiving table. A more accurate representation, but still featuring a turkey at the center of the table and just six Wampanoag. The Wampanoag weren’t invited to this feast originally, according to Tim Turner, Cherokee, manager of Plimoth Plantation’s Wampanoag Homesite and co-owner of Native Plymouth Tours. Massassoit came with 90 of his warriors, prepared to do battle. Since there was none, the Pilgrims invited their new friends to their feast. However, there wasn’t enough to feed everyone, so the warriors went out and brought back five deer, their contribution, according to Kathleen Wall, Colonial Foodways Culinarian at Plimouth Plantation. The feast lasted three days and likely included pumpkin, fish, berries, watercress, lobster, dried fruit, clams and plums in addition to the poultry and venison. There was no flour, so likely no pies or pastries. 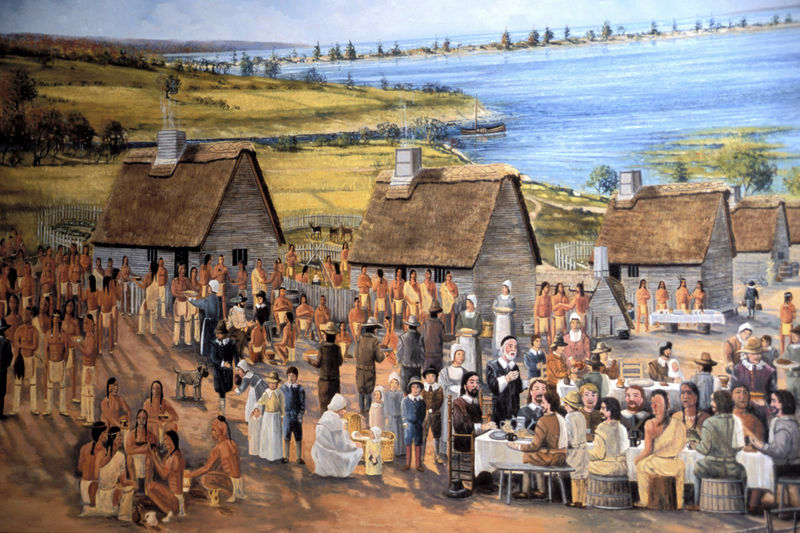 We can and should imagine a warm, three-day feast between the Wampanoag and the Pilgrims, a picture of unlikely togetherness and a celebration that marks a large part of the American identity, but consider that there were 91 Indians and around 50 Pilgrims. Re-think that long table surrounded by settlers with a few Indians thrown in, and forget that it was annual tradition. This representation is the most accurate, featuring a majority of Wampanoag, no turkey, and a large gathering. Thanksgiving had been proclaimed by governors and presidents in the 13 colonies at one time or another, but as the country grew, many U.S. citizens didn’t feel it was appropriate. 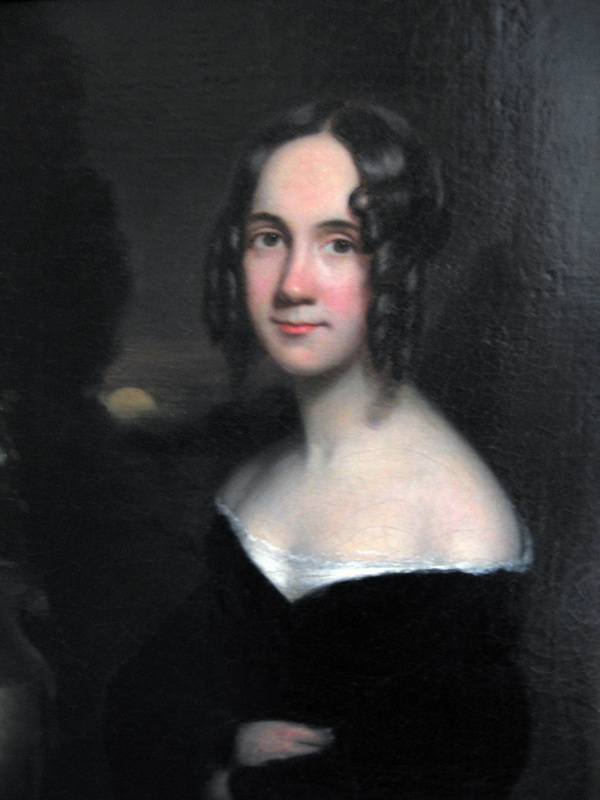 It wasn’t until magazine editor Sarah Josepha Hale campaigned for the national holiday in her writing, an effort bordering on obsession. For 40 years, Hale pushed for the establishment of a Thanksgiving Day, publishing editorials in Boston Ladies’ Magazine and Godey’s Lady’s Book. (Incidentally, she is also the author of the children’s song Mary Had a Little Lamb. )Finally, in 1863, President Abraham Lincoln proclaimed the last Thursday in November as a national day of thanksgiving, but it still wasn’t what we celebrate today. During Franklin D. Roosevelt’s presidency, the holiday was pushed forward a week to create a longer Christmas shopping season, but public uproar convinced him to move it back to its original date. In 1941, Congress named Thanksgiving Day a legal holiday, the fourth Thursday in November. This Thanksgiving, and every Thanksgiving following it, give gratitude for this wonderful country we live in. Enjoy your family. Enjoy your friends. Enjoy the fruits of your labor and all the things and people you have in your life. Give thanks for whatever fortune has bestowed upon you this year. Give thanks to those who fought and died to build this nation. Give thanks for being American, a wonderful, unique identity. Love your neighbor. Offer second chances. Make a new friend. Try to understand someone better. Buy things. Watch football. Because that’s what this holiday is all about. But most of all, remember the whole story. For more about the lives of indigenous Americans, visit the John P. McGovern Hall of the Americas. From our table to yours, Happy Thanksgiving! The Potluck: A Native American Thanksgiving Tradition?